As we discussed last week, many people are finding themselves needing to accommodate their home due to using a wheelchair and also in preparing to remain in their homes as they age. There are currently at least 30 million Americans using wheelchairs and those numbers continue to increase as a large population of people with age related challenges look for ways to live independently in their homes. Last week we discussed the importance of designing an accessible kitchen for wheelchair users. This week we will take a look at another important area of the home to address accessibility: the bathroom. The bathroom can be one of the most dangerous places in your home. 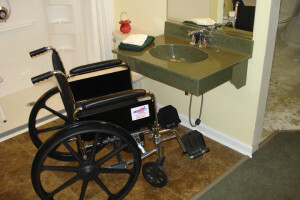 The bathroom can present many access challenges to people who use a wheelchair or need accommodations. Bathroom safety is one of the number one concerns in making a home accessible because more than 2/3 of emergency room visits are due to bathroom falls. The tub and shower are the most hazardous areas for young adults and most falls for elderly occur near the toilet. Falls in the bathroom can be due to a wet floor, small spaces to maneuver, and/or bending and lifting required in accessing the tub, shower or toilet. The ultimate goal in accessible design is to make the bathroom space safe for everyone who uses the bathroom. 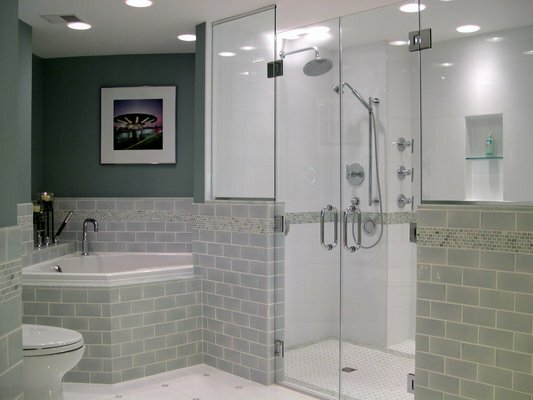 Universal design can better accommodate wheelchair users and can make the bathroom more comfortable for all users and many times can be done without sacrificing style. 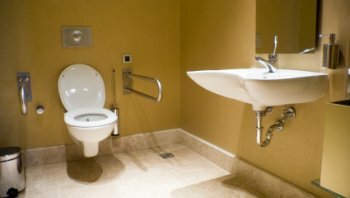 It is important to carefully plan the building or remodeling of an accessible bathroom by taking inventory of the users capabilities and preferences. 1.What bathroom activities require a user to need assistance? 2.Are there medical supplies necessary and where do they need to be placed? 3.Is a tub or shower preferred? 4.What activities does a user do independently where grab bars should be placed? 5.Will users condition deteriorate over time and what will users needs be in the future? Using a rolling shower seat or fixed shower seat in the shower can accommodate some users. Shower seat should be at the height of 17” to 19”. A small stool or plastic chair can allow the bather to sit while taking a shower and can be removed for users who don’t use the seat to shower. A curbless shower is ideal for people using a wheelchair, walker or for someone who is at risk for falls and can be used by everyone regardless of ability. The opening to the shower is level with the floor and is sloped down to the drain. The shower should be 36” wide for someone using a transfer seat and 60” wide for someone in a wheelchair to be able to turn around in or for assists. Walk-in tubs allow easier access. It allows a user to walk into the tub without having to climb over the side of the tub. Installing tub controls near the front edge will avoid a long reach. Installing grab bars in all bathing areas. For a tub- two bars should be installed on the sidewall at standing and sitting range. For a shower-all three walls in roll-in shower should have grab bars and two walls should have grab bars in a transfer shower. Coordinate the controls to be near grab bars when possible. 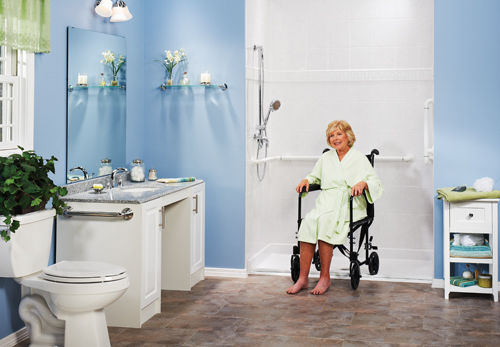 A nonslip floor is one of the most important things to address in the shower to prevent falls. A textured tile or a slatted wood tray over a concrete floor can provide a nonslip floor. Consider the placement of items that a user will want to reach such as hair care, bathing products, soap, washcloth, et cetera. Adequate storage and accessible placement for all products so they do not fall into the floor and are easily reachable for all users should be addressed. Overhead lights in shower and using glass walls instead of a shower curtain to allow additional light to come in will increase safety. Installing shower controls where operator can use them without getting wet. Also, installing a handheld showerhead that can accommodate a seated bather. Install one with at least a 60” hose. Towel shelf or hook should be installed within easy reach for drying off before exiting the shower to prevent wet floors. A sink should be mounted on the wall with no cabinet underneath for both standing and seated users or one with enough clearance to provide open knee space. A sink approached from the front of the sink needs to be 34” maximum rim height with a 27” clearance for knees or having a sink that can be approached from one side. Installing single-handle faucets, which can be easily turned on and adjusted without having to grab or twist or installing hands-free faucets with a sensor that detects hands under the faucet will make the sink accessible. Mounting a lower placed mirror, extra long mirror, or tilt mirror that everyone can use. Using sturdy furniture/vanity that can be used to grab on to so one can use to maneuver around the bathroom when a grab bar is not within reach. Consider placement of products that might need to be reached such as dental care, prescriptions, eye care/contact lenses, first-aid supplies. Other items to consider storage and access for are: hair dryers, curlers, makeup, bathroom linens, and bath cleaning supplies. Installing low drawers that pull out fully increase accessible storage options. Although more expensive, a vanity with electrically adjustable height counters offer accessibility to all users. ADA guideline recommendations are that a toilet be 17”-19” high. This is the most comfortable height for all users. A higher toilet seat makes it easer to lower, stand, or transfer from a wheelchair/walker to the toilet. Thicker toilet seats can be used to add height to toilet when replacing the toilet is not an option. A wall-hung model toilet can be mounted at a height that is customized for the user. Install toilet paper dispenser at a comfortable height that is forward of the bowl. 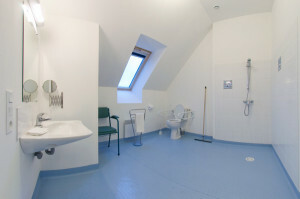 Consider placement of things a user may need to reach when using the toilet and have them accessible. Items such as extra toilet paper, sanitary products, wipes, and medical equipment. Installing at least one grab bar to one side of the toilet at the distance of 18” to nearest wall or fixture is recommended; however, the ideal toilet placement is positioned between two support bars that are 36” apart. Good lighting in the bathroom is important in safety. It should be planned to avoid any shadows and create an even lighting. Using natural light as much as possible is ideal. Lower light switches so someone in a wheelchair can access them. 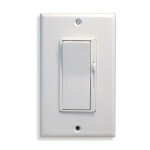 Motion detector lights can be used for individuals who have trouble accessing light switches. 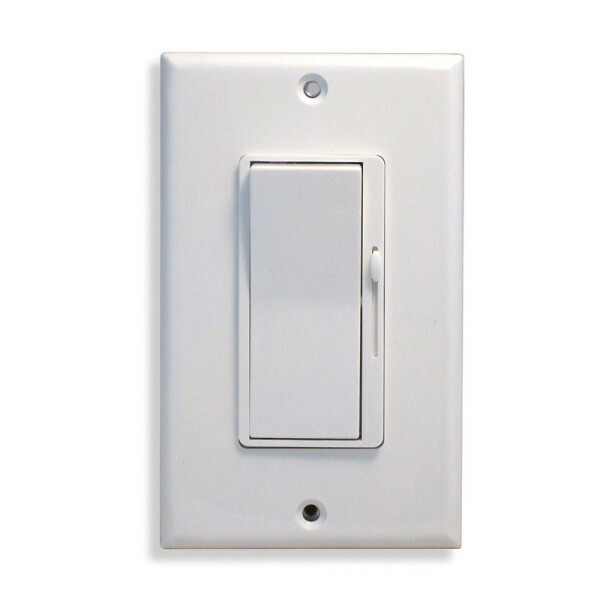 Install switches with a large toggle or push button that doesn’t require one to use a pinching motion to turn off or on. An accessible bathroom needs to be 30” x 48” for mobility devices in front of each plumbing fixture and room to turn around in a wheelchair. Doorway will need to be widened for wheelchair access. A door into bathroom should be a minimum of 34” wide for wheelchair users. Use lever style door handles that are easier to use than doorknobs. A door that swings outward instead of inward will allow more space inside the bathroom. Using a pocket door in small spaces is another good option for constructing optimal space. Make sure there are no loose bath mats on the floor. Bath mats are an obstacle for people in a wheelchair and a tripping hazard. If space allows when designing a bathroom, it should be considered if there is enough space for 2 people if an attendant is needed to assist a user in personal care. Providing easily accessible storage compartments with pull out shelves to get clutter out of the way and allow access. Consider individual needs of the user and find best placement of these items within their reach. Consider where the best access is for all accessories such as robe hooks, towel bars, paper dispensers, soap dishes, toothbrush holders, shower shelves. Lower the hot water maximum heat temperature to prevent any burns in the shower or sink. Grounded or lowered electrical outlets should be installed for use of small appliances such as hair dryers, toothbrushes, and electric razors. There are also many lifts to look into that provide transfers in the bathroom such as hydraulic chair lifts, sling-type lifts, rolling transfer benches, drop in tubs that have a platform that serve as a transfer bench, et cetera. Choose fixtures and fittings that are comfortable and convenient such as things that are easy to control with single hand motion and closed fist or motion control censored fixtures.